Click on the words above “Sustainable oyster farming, West Marin style…” to see this post as it was meant to be seen. 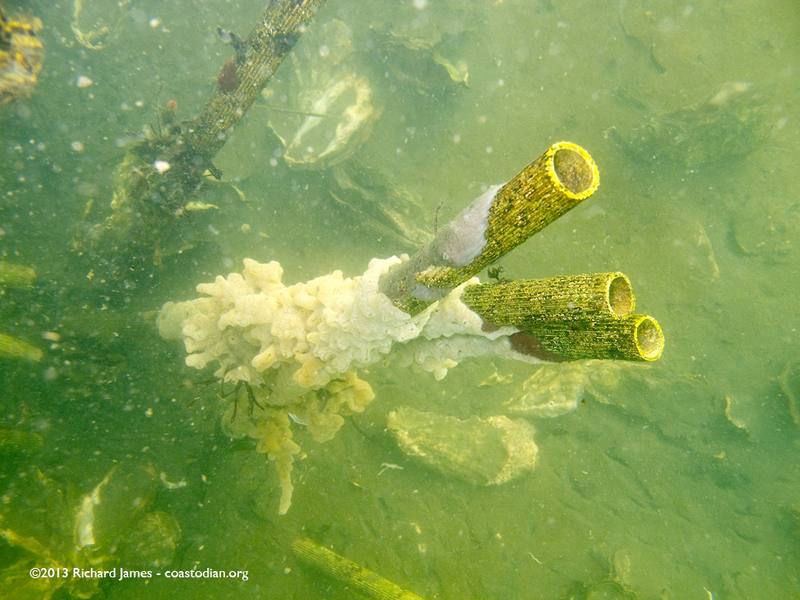 March of 2013, I published the image showing over 5000 black plastic oyster spacer tubes I had picked up. The image shows them in a large pile of black plastic on a tarp in front of the turn-off to the DBOC farm. See it here. Besides meeting Kevin’s parents the day I made that image (that is a post all in itself), a few months later, Kevin found my blog, had a look around, then sent me a note inviting me over to talk about oyster farming trash. I went out to meet him the same day I photographed this Osprey over Drakes Estero, see it here. He also showed me the new way they are growing oysters using long white plastic tubes impregnated with bits of oyster shell, they are called French Tubes. When I saw them, I commented that I thought I’d only ever picked up one in all my days on the local beaches. He seemed to think they were the silver bullet to all this lost plastic getting into the ocean. I thanked him for his time and we parted ways, I did not give French Tubes much more thought. 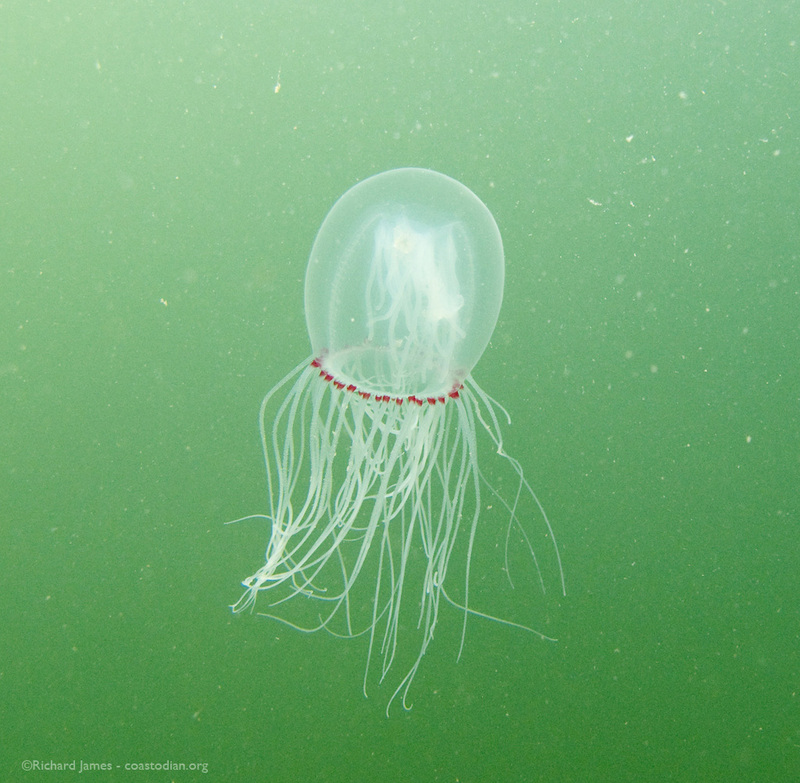 That is until I went diving in Drakes Estero. I wanted to see what was going on under the surface with my own eyes. Kevin is right, I won’t be picking up those long white tubes from all over the beaches of Point Reyes. The reason being, French Tubes sink! Have a look for yourself. 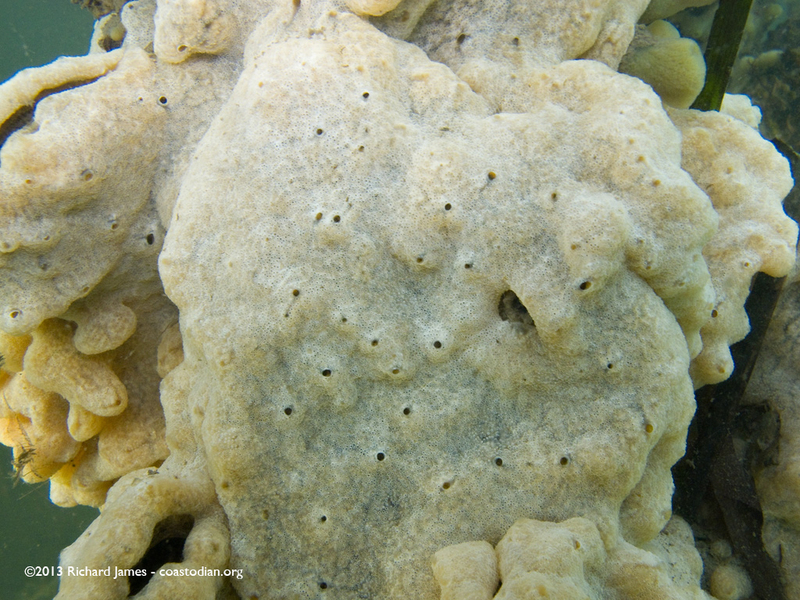 See the invasive tunicate growing all over them. This is surely one way to keep your litter out of the public eye. While hiking back from the mouth of the Estero today with a load of trash (over 60 black tubes) along with all the usual human-waste, I came upon 3 people that wanted to know what all the trash was on my back. After explaining my affliction (the inability to walk past garbage on the beach), I briefly explained the oyster situation to them. 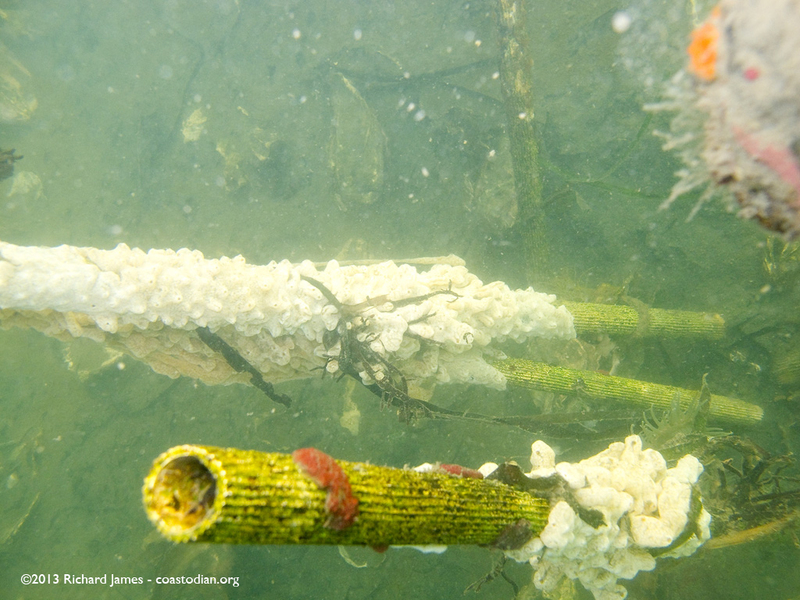 The mess in the Estero, the mess I keep finding in Tomales Bay etc. That is a very good question I told her. I’ve seen little evidence of it so far. The folks at Hog Island do seem to be improving their practice, looking for ways to lose less gear. TBOC has a long way to go to clean up their practice, I see small efforts and much larger issues to be tackled. The others I cannot speak of accurately. The California Shellfish Initiative (“Initiative”) is a collaborative effort of growers, regulators, NGO’sand scientists to restore and expand California’s shellfish resources, including oysters, mussels,clams, abalone and scallops. The Initiative seeks to harness the creative talents of shellfish growers, local, state, and federal resource managers and environmental leaders. The Initiative’s goals are to protect and enhance our marine habitats, foster environmental quality, increase jobs, encourage inter-agency coordination and communication, and strengthen coastal economies. A successful Initiative will engage coastal stakeholders in a comprehensive process to grow California’s $25M sustainable shellfish (bivalve) harvest, restore natural shellfish reefs, protect clean water and enhance healthy watersheds. 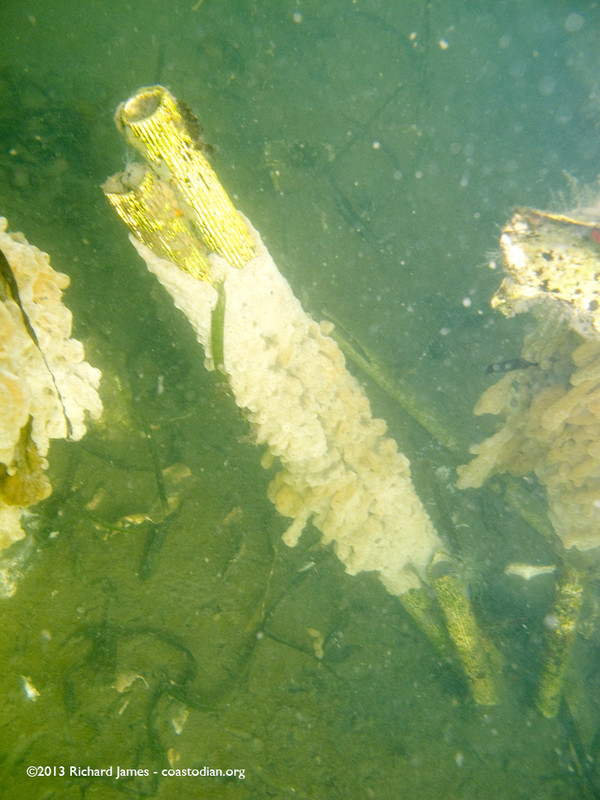 tunicates love oyster racks, oyster bags, oyster tubes. 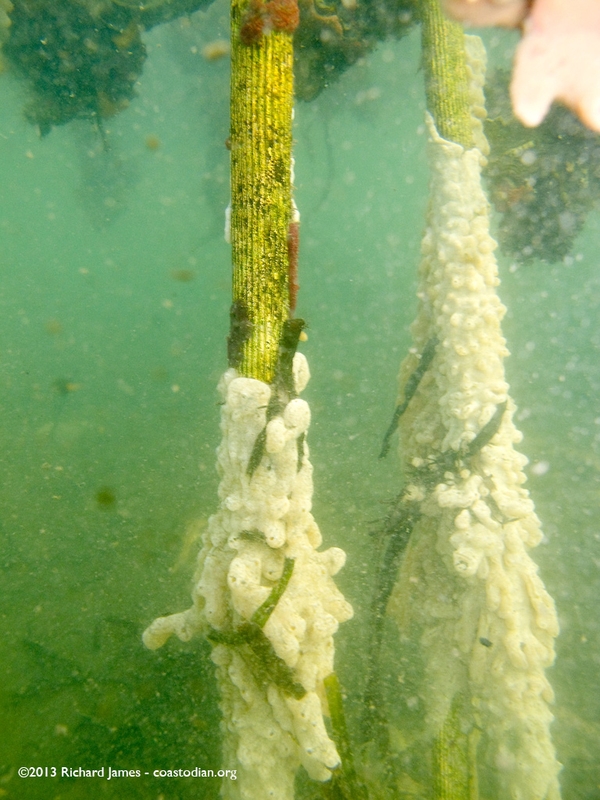 Non-native tunicates! Saturday morning while walking the shore of the Bay picking up oyster farming debris just south of TBOC, as I have done for the past few months, something most interesting happened. Can they help me I thought to myself? They sure can I thought to myself. I stopped and turned, waiting a few seconds as they jogged over to me. “You sure can help me.“, I offered. They both looked a little confused. “Basura, mucho basura todas.” I offered in my simplistic spanish. I dug into my bag and showed them the handful of cable-ties, wire segments, oyster tags and rope I had collected. I explained that I had been cleaning this shore near their operation for months, bagging what I’d found, and dating each bag, as well as photographing the hundreds of grow out bags I’d found nearby. These photos are up on the internet I told them. They asked me if I’d talked to Todd about this. Yes was my reply, with little to show for our discussion. After a little more discussion, I thanked them for their time, we shook hands and parted ways. I continued walking south, picking up what I’d missed on the way north. Not five minutes after the boys had left, I turned a corner of the shore and not two-hundred feet south was Todd Friend walking towards me, with a large stick in his hand. Hmmm, this could get interesting, I thought to myself. 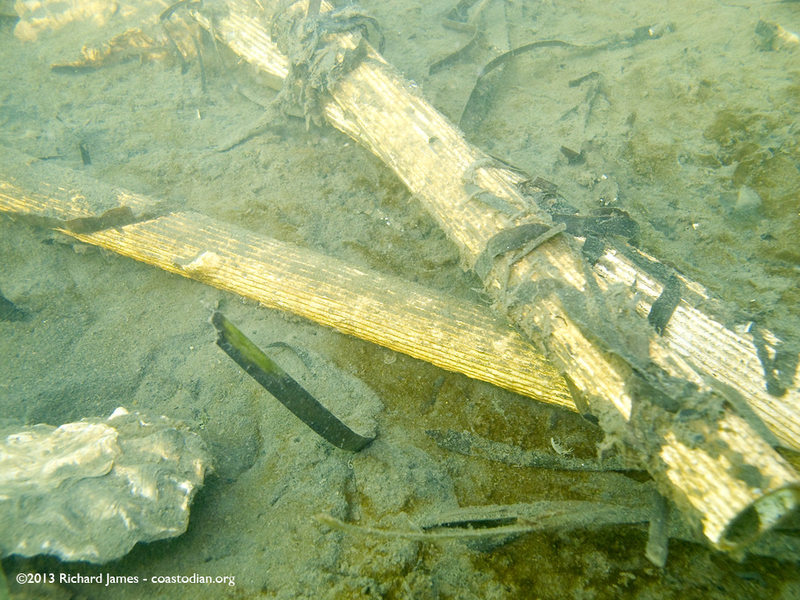 He saw me and then reached down to pull a large two by four out of the driftwood pile, abandoned oyster racks likely. As we closed on one another, it became apparent that Todd was picking up trash as well. We talked a bit about what I’d been finding, I showed him the contents of my bag, explaining this was a fraction of what I had usually found. He explained the likely source of each item. The upshot of our conversation is that he agreed that TBOC had been leaving a mess and that they could do better. I asked about changing methods so that less gear was lost. I also asked if TBOC talked with other growers about best practices. He said not really, but a meeting of all the growers was coming up. I shared a different way of attaching bags to the line used by a grower further north, the clips cost more, but they lose much fewer bags, so it actually costs less. This is great news and I hope to hear more of their plans to reduce lost gear. I’ll continue to record debris locations and offer maps to the growers. It would be great if they could use their boats to get to remote areas, then walk the shore to recover gear, as walking is the best way I have found to find lost gear.